NEW ORLEANS -- Drew Brees has become the NFL's all-time leader in yards passing - and he did it in style. 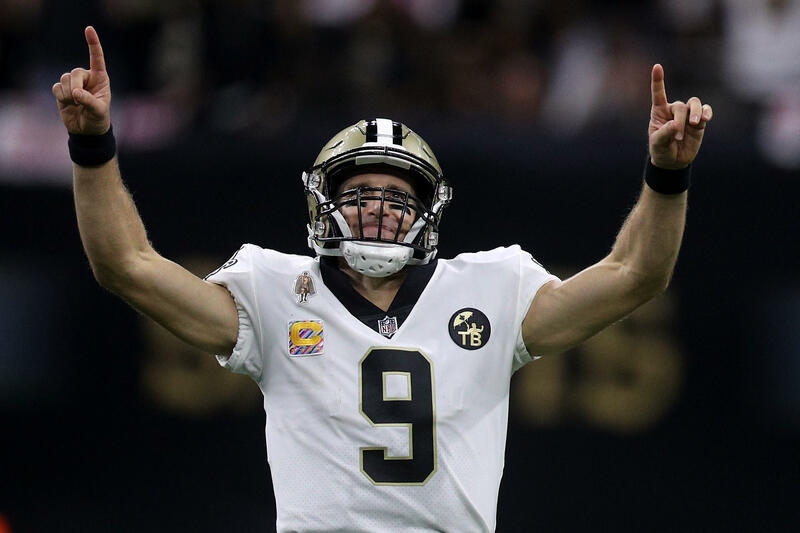 The 39-year-old Brees eclipsed Peyton Manning's previous record of 71,940 yards with a 62-yard touchdown pass to rookie Tre'Quan Smith during the second quarter of Monday night's game against the Washington Redskins. The Saints went on to beat the redskins, 43 - 19. In 2012, Brees also set the NFL record for consecutive games with a touchdown pass at 54. Brees surpassed Hall-of-Famer Johnny Unitas' streak of 47 straight - which had stood since 1960. Former Saints receiver Devery Henderson, who caught the pass on which Brees broke Unitas' mark, attended Monday night's game.